Safeguarding Your Machinery -- What is the Right Thing to Do? The very word manufacturing implies big – big mills, big factories, big assembly plants, with big payrolls encompassing hundreds or even thousands of workers. Washington certainly has its share of big manufacturing operations – Boeing’s Everett assembly building, the largest in the world by volume, Paccar’s Kenworth truck manufacturing plant in Renton, the sprawling Weyerhaeuser complex in Longview, oil refineries near Anacortes and Ferndale. So here’s a curious factoid about Washington manufacturing. Most of the companies in that sector aren’t very big. Impact Washington, a Mulkilteo-based non-profit organization providing consulting services to manufacturers, has reported that the average size of manufacturing companies in the state is about 44 employees. Of course, averages can be distorted by a few large employers, so here’s an even more telling statistic. More than half of the state’s manufacturers have fewer than 20 employees. For every giant like Boeing, there are dozens, maybe hundreds of fabricators, machine shops, contract assemblers and makers of parts, many of them feeding those big concerns, but many others operating in their own specialized niches. The biggest headlines may be generated by the biggest companies, but there’s lots of news to be found amongst those small operations. Consider for example, a 50-year-old Vancouver company that makes accessories for the irrigation systems that are a common sight across the West – in fact that’s the company’s name, Irrigation Accessories. The company currently generates about $1 million in annual sales of its products – with three employees. Pre-recession, it had eight employees and $1.8 million in sales (and hopes to return to those levels). If eight – or even three – employees feels overly large to you, consider the saga of Alexandra Abraham, who is a senior at Seattle University, or would be if she hadn’t suspended her studies to start her own product company. DripCatch makes interchangeable trays to collect water from racks of glasses that have been run through a commercial dishwasher, thus eliminating puddles on restaurant and event-venue kitchen floors that pose health and safety problems. Abraham landed an endorsement for DripCatch from noted restaurateur Tom Douglas, which gave the product entrée into restaurant suppliers. That Washington manufacturing abounds with stories like these says several encouraging things about the sector. First, entrepreneurialism is alive and well in manufacturing. That shouldn’t come as a surprise in a state where starting a company is an assumed part of its economic and cultural fabric. But the term entrepreneur itself comes pre-loaded with stereotypical images of software coders conjuring up the next mobile-phone app or social-networking site. Manufacturing has a long tradition of start-ups, with some of the most venerable companies in the state – Boeing and Fluke, to name two – still bearing the founders’ names, even if their ownership structure has long since changed. Second, and a corollary to the first point, manufacturing entrepreneurialism is possible because it doesn’t require loads of capital to accomplish. The term “virtual company” was coined to denote an operation in which the founding entrepreneur’s ideas and drive are its only assets; the actual production work and support services are contracted out. The term was used prolifically in the high-tech realm but it works well in manufacturing too. To get DripCatch to market, Abraham first arranged to have a production tool made in China. Then she found a local contract manufacturer – Cashmere Molding in Woodinville – that could produce the DripCatch at a price cheaper than what she could get from China. Third, and again related to the first two points, the interest and ability of entrepreneurs to get into manufacturing with little more than inspiration and determination has big implications for the health of the industry and for the growth potential for Washington’s economy and job generation. Innovation can come from big and small companies alike, but it’s the little companies that often have the flexibility to run with an idea and see how it develops. And it’s not just the new small companies that drive innovation. Irrigation Accessories, at the half-century mark, is developing new technologies and designs for pivot systems that get the right amount of water to the right places, reducing wasteful runoff. Small companies that succeed at innovation become large companies, or they’re acquired by large companies to reinvigorate themselves. Washington companies that master innovation will be the ones to add sales and employees. American manufacturers that prove adept at innovation will be the survivors in increasingly competitive and unforgiving world markets. None of this should be read as a “bigger is better” or “small is beautiful” either/or debate. 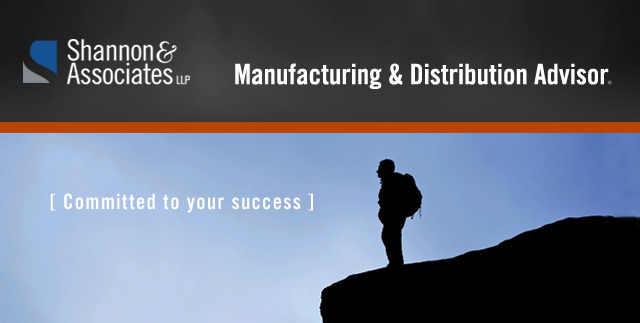 Manufacturing needs both to succeed. But contrary to the notion that manufacturing is old, big and stodgy, it’s important to remember that big industries like aerospace and automobiles grew on the efforts of inventors, tinkerers and entrepreneurs. Whatever the companies, industries and technologies that will drive manufacturing in the next few decades are already being built and tested by thousands of companies too small to generate much notice – for the moment. Perhaps the single most influencing factor that touches every aspect of our daily lives is none other than our attitude. Our personality is a combination of our environment and our DNA. We cannot change our genetics or our past. Why are some people happy and successful even though they have come from the worst of situations? On the other hand, some people who have come from what appears to be the best of situations are unhappy and unsuccessful. Oftentimes the biggest difference is the person’s attitude. We cannot ignore data that continually demonstrates the effects of a positive attitude. Even healing time from injuries is influenced by a positive attitude. Ask any professional sports trainer or doctor and they will tell you that athletes typically heal faster than the average person. There may be many factors, but one thing is certain: professional athletes are competitors and they want to get back into the game. They have the right attitude. We do have the ability to influence our attitude. We can control how we view our world and the events and situations around us. Do we engage in our daily tasks with enthusiasm and the desire to do the best job possible? Or do we see our life as drudgery and we are only trying to get through to the end of the day? Do we seize opportunities for personal growth, self improvement and education or do we avoid them at all costs? Take encouragement from any successes you experience, no matter how small. Focus on the positive; there will always be those who only focus on the negative. Avoid these people. They will drain your joy, your time and your resources. If you want positive changes in your life, surround yourself with positive people and adopt a positive attitude in all situations. You will be a much happier and productive person and opportunities will come your way. Positive people attract positive people. John Church, Success Driven, LLC’s founder and President, has over 30 years of experience in ownership and management of numerous companies and a proven track record for building extremely successful businesses. There is a major concern amongst machinery manufacturers that new rules and regulations regarding the safety of the machines they manufacture will, in essence, price them out of a fair market share. This is especially the case when some manufacturers perceive that their competitors are not always following the rules and regulations as they interpret them. This has been an ongoing battle for decades and while the reasoning seems sound, the end result of NOT following applicable codes and standards could put a company at risk. Remember one thing -- your competitors do not pay your Product Liability bills. For years now, especially with the European regulations coming full force since 1996, Risk Assessments have been a hot topic. It has become basically mandatory that all machinery manufacturers perform a risk assessment of their respective machines starting in the design phase and following through to manufacture, assembly, testing and final installation. The European standard on Risk Assessment (EN 1050) is now an International Standard (ISO 14121). PMMI followed that up with ANSI B155.1 (Safety Requirements for Packaging and Packaging-Related Converting Machines) where the onus for Risk Assessment was not only put on the machine manufacturer but also on the end user. Newly revised ANSI B11 (Safety of Machinery – General Requirements and Risk Assessment) has mirrored those two standards. ANSI B11.19 (Performance Criteria for Safeguarding) has given the manufacturers guidelines to complete the safeguarding based on the risk assessments performed for their respective machines. So what does that mean if you do not follow standards applicable to your machines? Not following those standards can and will be used against you if you are found in non-compliance. There may be instances where you can site that NO company in the “Industry segment” you are in follows certain standards, but that is a slippery slope to say the least. One thing to remember is that as an OEM (Original Equipment Manufacturer) you can safeguard the equipment you design anyway you chose, as long as you can justify your designs and safeguarding procedures while following the standards that pertain to your machines. You have a legal obligation to safeguard your machinery in a way that is both technologically feasible and economically feasible. Something that is not technologically feasible to accomplish given today’s technology is hard to explain away. Economic feasibility creates another problem, especially when trying to sell machines in a tough and tight market. Nobody expects a manufacturer to “break the bank” by putting safeguards on their machines. They do, however, expect that the risk assessment you perform should point out any necessary safeguards needed. You have to be able to justify your risk assessment and the steps you took to either add safeguards or NOT add safeguards. If you cannot comfortably justify your decisions, you may be sitting with your fingers crossed just hoping that something doesn’t happen where you have to defend those justifications.